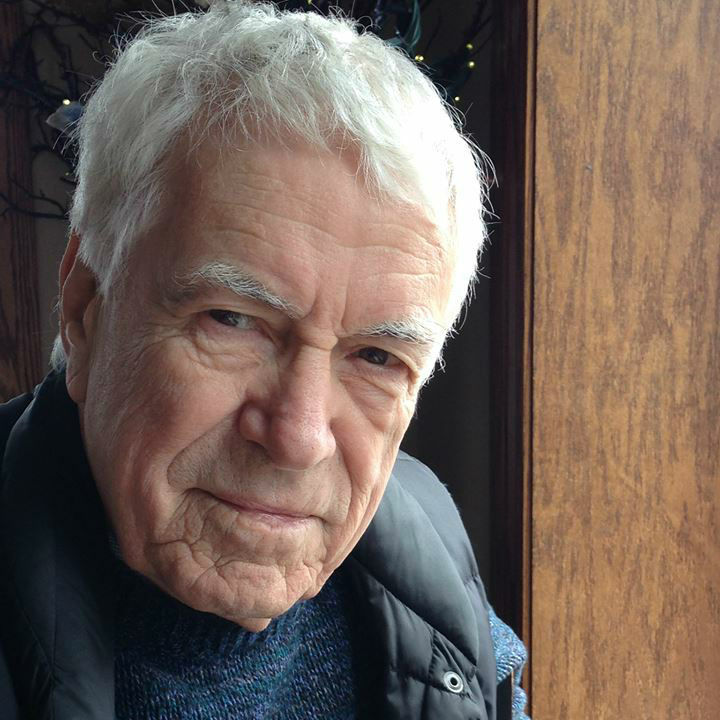 We’ve recently published an interview with Dr. Albert Marshall, a revered elder of the Mi’kmaw or L’nu nation, whose unceded territory covers all of Atlantic Canada and parts of Quebec and Maine. The main topic of the interview is the importance of the fact that humans are embedded in the natural world and belong to it. Nature has rights, says Albert, and humans have responsibilities. Albert and his late wife and mentor, the spiritual leader Murdena Marshall, were wrenched from their traditional lifestyle by the residential school program. That prevented them from acquiring traditional knowledge by participating in traditional ways and practices side by side with older relatives and friends. Recognizing that their Indigenous community of Eskasoni in Unama’ki (Cape Breton) is now closely connected with the industrial economy, they developed a concept of “two-eyed seeing” — learning from both the industrial world and their traditional knowledge base at the same time. This is a mural created by students at Bonar Law High School in Rexton, New Brunswick. Notice that the eye on the right is shades of blue and green, but the eye on the left echoes the Mi’kmaw medicine wheel, a powerful and complex spiritual symbol in which the four colours represent the four directions and the four races of humanity. The colours also stand for four spirit animals, four different medicines and the four stages that make up the cycle of a human life. So how do the Indigenous people and the rest of us learn to see with both eyes? We listen humbly and mindfully to each other’s stories, says Albert Marshall – or, we were recently reminded, we create shared stories through the important struggles we undertake together. For example, the students at Bonar Law High School include the young people of the nearby Elsipogtog Mi’kmaw community. Back in 2013, Rexton was at the heart of the dramatic and prolonged struggle between the government, the police and the oil industry on the one hand, and an uncompromising anti-fracking alliance of Elsipogtog’s people along with French and English settlers on the other. The struggle took place in the courtroom as well as in the streets and in the woods. You can see a video account of it in our Green Rights film or in our CBC-TV film Defenders of the Dawn. Such powerful alliances are springing up all over North America — and stopping ill-considered projects dead in their tracks. That’s what happened in Elsipogtog, where the oil company eventually gave up and went home, while David Alward’s Conservative provincial government was defeated in a general election. Brian Gallant’s new Liberal government immediately proclaimed a moratorium on fracking, which had the effect of pausing the environmental-rights lawsuits that had already been filed. Last November, however, the Gallant government was defeated, and the new Conservative government of Blaine Higgs declared it would end the moratorium. At last reports, the New Brunswick Anti-Shale-Gas Alliance and its lawyer, the redoubtable Larry Kowalchuk, were gearing up to go back to court. The French/English/Mi’kmaw coalition was ready to write a new chapter in the story they created together – seeing with two eyes, and jointly defending one Earth.